The NBA trade deadline has come and gone and the All-Star break is mercifully in sight. We’re two-thirds of the way through a season that never seems to take a deep breath, so this feels like a good time to take five and check in on the pressing issues of the day. 1. What’s wrong with the Celtics? The same things that have been wrong since the season started. The team is disconnected from one another. As Marcus Morris correctly pointed out over the weekend, the C’s aren’t having any fun. Morris is merely the latest Celtic to make that observation during a season that has always felt like less than the sum of its modest achievements. Teams that enjoy playing for one another don’t blow back-to-back huge leads at home, and they don’t act like the roof is falling in every time they go through the slightest bit of adversity. The whole thing points to a general malaise, and you can find fault with anyone you’d like. Early in the season, it was the young guys not adjusting to the sacrifices they’ve been asked to make. 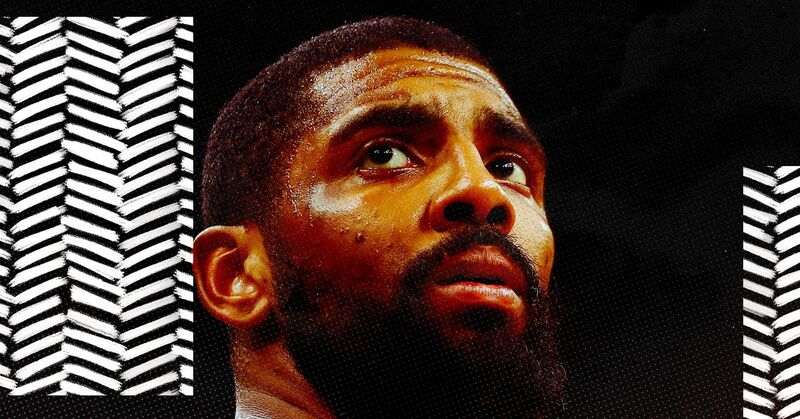 Later, it was Kyrie Irving not handling his self-appointed role as team leader. Injuries to Al Horford and Aron Baynes have messed with their team defense and general cohesion. Gordon Hayward has played better of late, but his effect on the team has been wildly inconsistent. Oh, and there’s still the whole Anthony Davis saga to be played out this summer, when just about everyone on the roster will be considered in trade packages. The responsibility for fixing the problems falls on Brad Stevens and his coaching staff. There’s a lot of people enjoying a bit of schadenfreude over how St. Stevens has handled this season. Much of the criticism is fair — too many broken sets and uneven efforts demand tougher action — and some of it is just as misdirected as the lavish praise sent his way over the last few years. Coaches can only do so much in this league, and if this season is worth saving, it will be as much mental as tactical. Either way, the pressure is on Stevens to help this team reach its full potential. There’s also the possibility that they’re just not that good. The offense is heavily dependent on Irving working his magic and the defense hasn’t been as locked in as previous years. What a weird season. 2. Are the 76ers that good? It’s way too early to make any kind of a determination, and Tuesday night’s game with the Celtics will be an interesting test. The C’s have won nine of the last 11 meetings, including last season’s second-round playoff series. Still, the early signs out of Philly look strong. Since acquiring Tobias Harris from the Clippers days before the trade deadline, the Sixers have been on a rampage. They handled the Nuggets at home and then absolutely blitzed the Lakers on Sunday as their star-studded starting five combined for 103 points with everyone taking between 10-16 shots. It’s hard to remember that it was barely a week ago when they were run off their home floor by the Raptors. I was among many league observers who felt the Sixers wouldn’t have the goods come playoff time, but a week may as well be a year in this league and I’m more than willing to keep an open mind. The depth is a little shaky beyond that sensational starting lineup, but coach Brett Brown now has five exceptional offensive players to spread out through 48 minutes of playing time. Finding the right combinations while keeping everyone involved and fulfilled will be an ongoing chemistry experiment. The questions for Philly are the same one that have followed Boston around this season: How will they react when things get hard? Who will emerge as on-court leaders? Find answers to those concerns, and the Sixers could absolutely make the jump to proper contention. 3. Bonus question: When will the national media finally recognize the Bucks are the favorites in the East? If I had to vote right now, I’d have Giannis Antetokounmpo first on my MVP ballot and Mike Budenholzer at the top for Coach of the Year. The Bucks made a great deadline deal for Nikola Mirotic, and are the only team currently in the top-5 in both offense and defense. They’re likely to earn home-court advantage throughout the playoffs, and they are a beast at the Fiserv Forum. The Bucks are the favorites in the East, OK? We all recognize and salute their efforts. Good job, Bucks. Now stop worrying about whether they’re getting enough respect and go enjoy this wonderful team. 4. Will LeBron James really miss the playoffs? The Lakers entered play this week with a .500 record, two-and-a-half games behind the Clippers for the final playoff spot in the West and two games behind the Kings, who are currently in ninth. As of Monday morning, Basketball-reference gave the Lakers an 8.5 percent chance of making the playoffs, the same as Dallas. So it’s not looking great. The working assumption is that it’s going to take 44-46 wins to grab that last spot. For the Lakers, that means going at least 16-10 over the final few months, which is what you’d expect from a 50-win team. The good news is the Lakers looked like a 50-win team earlier in the season when LeBron was healthy. Without him, they went 6-12 and fell into lottery position. LeBron is getting back to full strength, so the Lakers should be fine. Deadline acquisitions Reggie Bullock and Mike Muscala will help their shooting, and the young guys can’t help but settle in now that they know they’re not being traded for at least a few months. The problem isn’t so much the Lakers themselves; it’s the other teams ahead of them. The Clippers may have traded their best player, but the roster is still littered with vets who play with a chip on their shoulder. The Kings are young, talented, and feeling themselves. You want to see what basketball joy looks like? Watch the Kings fly up and down the court launching threes. The really fun part of this is that whoever survives the gauntlet is likely to draw the Warriors in the first round. Wonder who they’d like to see in the first round? Or not see, as the case may be. 5. Is Oklahoma City the second-best team in the West? You can say this doesn’t really matter in a world where Golden State exists, but I spent the better part of four years wondering who the second-best team was in the East behind LeBron’s team, so at least this is new territory for idle winter speculation. All credit to Denver for its breakthrough season, and all respect to the Rockets, Spurs, Blazers, and Jazz, who are formidable in their own ways, but Oklahoma City is looking more and more like the team best equipped give Golden State a challenge. The Thunder defend, they make you uncomfortable, and they have an MVP-caliber performer in Paul George playing at the top of his game. A better question is who matches up best with the Warriors? While no one really does perfectly, OKC at least can make a compelling argument with its length and athleticism. In addition, Steven Adams is one of the few big men who can deal with DeMarcus Cousins physically. The Thunder’s issue is whether they’ll have enough shooting to survive Golden State’s patented points barrages. Remember that in another life, it took Andre Roberson channeling Dale Ellis to almost knock the 73-win Warriors out of the playoffs. Someone will have to get hot and stay hot for the Thunder to pull off the upset. Still, an OKC-Golden State playoff series would be competitive as hell. 6. What’s the bigger threat to the moral fabric of the NBA: Tanking or tampering? Trick question: They’re both scourges that need to be eradicated immediately! The problem is you can’t get rid either one of them. That won’t stop us from endlessly dissecting both subjects over the next few months, while failing to come up with workable solutions. I’m also not convinced any of it truly matters. For all of their tampering, both alleged and the stuff for which they’ve actually been fined, the Lakers still have a Help Wanted sign out front for a second star to join LeBron, and no one seems in a rush to take the job. For all the tanking talk that dominates the last few months, there have only been a handful of teams who went into this season thinking more about lottery positioning than fighting for a postseason berth. Both are the natural way of things in this league. The only thing more desirable than great talent is the opportunity to have it on your team. I say tamper and tank away. Take your best, or worst, shot and let the basketball gods decide your fate.